Here are the Best PC Gaming Graphics/Video Cards for 2011 at various price points. I picked the best ones at different price points so you can choose the best graphics card for YOUR money and YOUR budget. Due to the feedback of members on this site that are serious gamers I am only including graphics cards that have “1 GB” of RAM on my list. Also due to feedback I am including an ATI and an nVidia card at most price points since some of us favor one company over the other. [adblockingdetector id=”1″]All of the graphics cards I list will fit into a PCI-Express x16 slot. 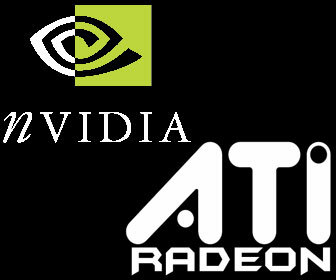 There are a ton of graphic cards with different names and model numbers that nVidia and ATI make. Some people might be confused as to what to buy for their own gaming needs as I am at times. To clear up the confusion a bit I created three different categories of popular PC games I named “tiers”. I created the PC gaming tiers using the PC game manufacturer’s Minimum Recommended Graphics Card AND Processor Requirements. So the higher the Graphics card and CPU minimum requirements a game needs the higher on the tier I placed the games (lowest Tier is “3” and highest is “1”). PLEASE NOTE: The higher priced graphics cards will insure that you do not need to purchase a faster graphics card when the next version of the game comes out. An example is Left 4 Dead 2. If you buy the lowest priced/level graphics card on my list it will make the game fly. But whenever Left 4 Dead 3 comes out that graphics card might barely run it or not run it at all. So it is always a good idea to not buy the lowest priced/level graphics card so you will not have to buy another one the next year. – Tier 3 games will run smoothly at medium to the highest graphics / visual settings with only the lowest level / price graphics cards. – Tier 2 games will run smoothly at the highest (or near the highest) graphics / visual settings with the graphics cards priced around $100. These games will also run smoothly at the lowest to medium graphics / visual settings with the lowest priced graphics cards. – Tier 1 games will run smoothly at the highest graphics / visual settings with the top 2 graphics cards on my list (GTX 470 and HD 6870). [adblockingdetector id=”5″]Most Tier 3 games will run smoothly at the highest graphics/visual settings with the graphics cards on my list priced around $180. Most Tier 3 games will run smoothly at medium to semi-high graphics/visual settings with the graphics cards priced around $100. Most Tier 3 games will run smoothly at the lowest to semi-medium graphics/visual settings with the lowest level/priced graphics settings on my list. I could not find a comparable 1 GB nVidia graphics card at this price range. That is why I only listed an ATI Radeon card. I bought this card for my nephew’s slow PC. It runs Call of Duty: Black Ops so smoothly on it!